After almost a year of internet contact with Mary Clear and all the gang at Incredible Edible I finally made it to Todmorden. Seven years ago I sketched my first ideas about hanging a cow Triptych in a church. A Kilkenny triptych is now hanging, since this morning, in the Honey Hole Church in Todmorden on permanent display. 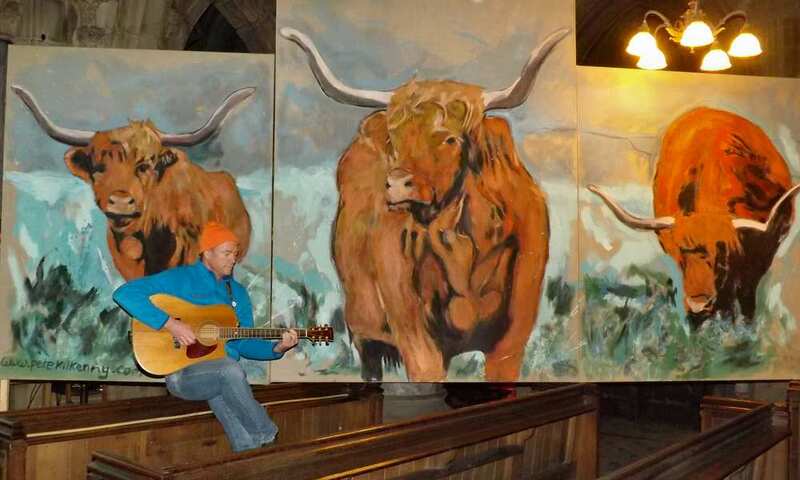 I have for many years found churches to be great buildings, the acoustics are great to sing and play music in and what great places to show art! I am moved by Mary and all at Incredible Edible.